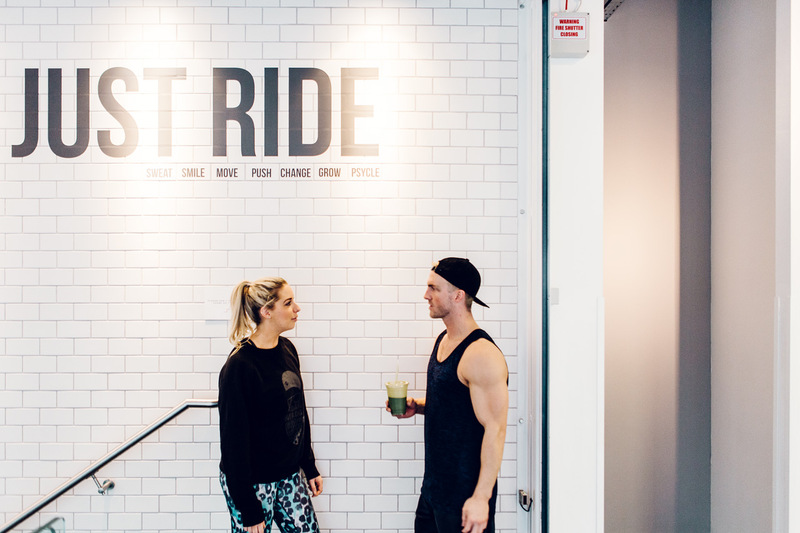 There’s been rumors that SoulCycle was going to come to London for ages- I’m talking I’ve heard this rumor for at least the past 5 years- and after Equinox got involved I was pretty sure it would make its way across the pond. Here we are though, still waiting for those yellow bikes and overly excited instructions wearing high ponytails to come our way. I’ve been an avid spinner at Ride Republic since it’s opening and I am still addicted to the classes. (If you haven’t tried Ban’s class, it’s super hard and you’ll probably cry, but then thank me afterwards.) 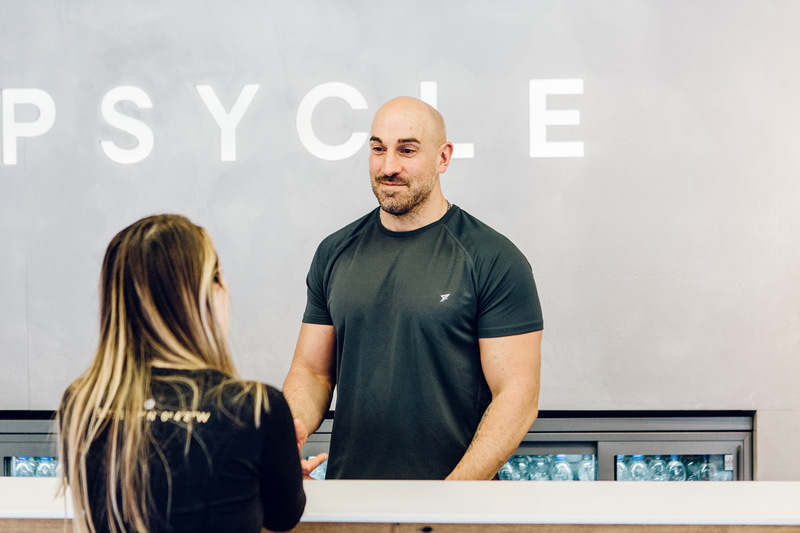 However, ever in the search to get my SoulCycle fix, and I’ll admit it, a bit late to the game as it opened several years ago , I tried Psycle this past Monday. 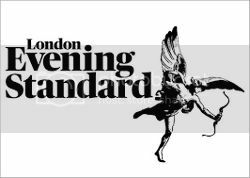 If you’re into the gym scene in London at all you’ve probably already heard about it, but this week was my first go so I am going to go ahead and tell you about it. 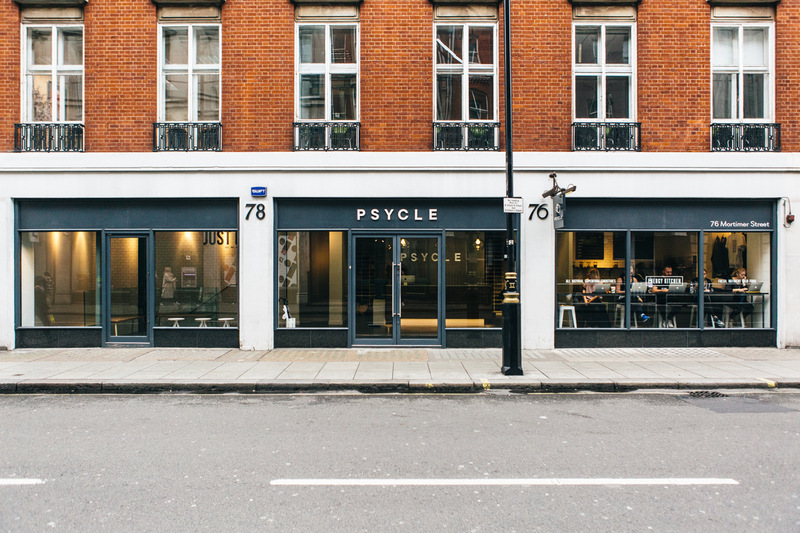 There are two Psycle locations, one on Mortimer Street and one in Canary Wharf. Obviously the Mortimer street location works the best for anyone not working in Canary Wharf so I hopped in my girlfriends car and drove over to their central location. 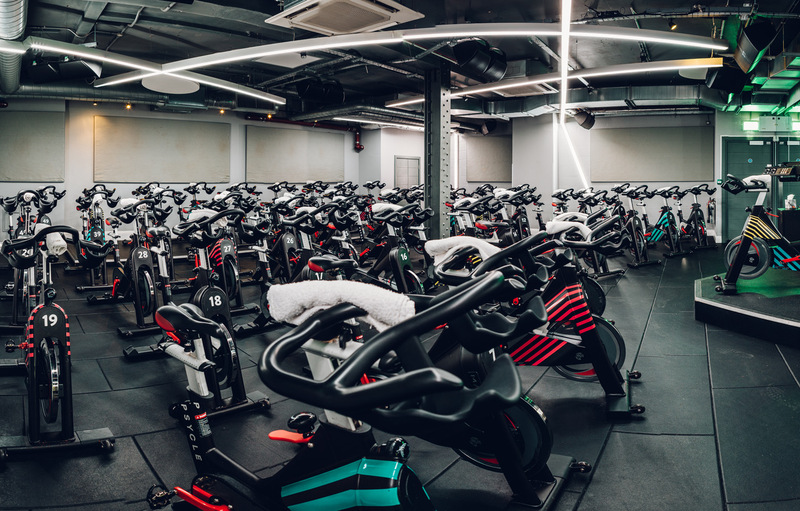 The minute we stepped into the studio I could feel the Soul-like buzz of people super happy to get their sweat on in a 45 minute spin class. There are two studios at this location which means they can run more classes, which means you’re more likely to find a time that suits your schedule. That being said, we booked our Monday class on the Friday before (this was for the 1000 AM class) and we go the last two seats. It’s clear to see that people are Soul-style addicted. We walked into our class and was greeted by the tiny pocket rocket instructor named Marie. She was excited to welcome us as newbies and immediately sent someone to help set up our bikes. The class was PACKED, there are five rows and 50 bikes in the studio and every single seat was taken. Marie started the class by immediately telling us what foot to lead with, “RIGHT LEFT RIGHT LEFT” she shouted, I felt at home and as if I was in the Brentwood SoulCycle studio. The constant references to staying on beat, and watching the FROW were shouted over the mike and the music was blasting, florescent lights flashing….ahhhhhh, it’s like a spin fix, and I finally found it. The 45 minutes flew by as I tapped it back, did standing sprints, and most importantly stayed on beat with everyone around me. The Soul-style choreography is certainly present as is the upbeat music. There was a quick arms track, where you use free weights to do about two-three minutes of arm work, which also felt very Soul to me. Am I going to continue to cheat on Ride Republic? Probably every once in a while, but the Psycle location and morning rush hour traffic means I am probably going to stick with my Parsons Green situation that I love. However, for the odd SoulCycle fix and a great workout I would highly recommend (booking at least 3-4 days in advance) a Psycle class. Psycle, Mortimer Street, 76 Mortimer Street W1W 7SA. Psycle, Canary Wharf, Crossrail Place, Level -2, E14 5AR. Fully agree with your article. I was Introduced to Union Sq SoulCycle back in 2013 and became addicted to visiting the studio when in NY. That said I visited Psycle last year and it was sooo good. Amazing! Glad you agree! Thanks Tim!